The Bachelor of Business Administration in Management cultivates students’ critical thinking, creativity and leadership skills – enabling them to make a difference in organizations. Students learn how to manage people and processes in a collaborative work environment and how to adapt management styles to an organization’s size and structure. In order to create team-oriented, successful work environments, students need a foundation in core managerial principles. Courses in the Management program demonstrate how these principles remain the same across organizations but manifest differently, depending on the company’s size and scale of operations. In addition to management theory and application, students examine contemporary management challenges with faculty members who incorporate practical experiences and active learning into the curriculum. Major Requirements: The BBA in Management requires 63 hours of major coursework. View and download the full degree plan for our Management major (PDF). Human Resources Management – Learn the basic functions of personnel administration, including job analysis, training, recruitment, selection, employment testing, compensation management and performance appraisal. Organizational Behavior – Examine an organization in its structure and function, including the problems of influence, authority and communication, and study the human-related issues in work environments. Problem Solving and Decision Making – Understand a problem-solving process for managing teams, making decisions, resolving conflicts, communicating with stakeholders and implementing plans. Our Management faculty are active in the business community. They are involved with professional organizations, such as the Academy of Management, American Production and Inventory Control Society, American Society for Quality, Association for Business Communication, Institute for Supply Management and Project Management Institute. Their research has been published in Journal of Management, Academy of Management Review, International Journal of Business Communication and Business and Professional Ethics Journal. "I believe students learn the most when actively engaged with the course content. They can then relate theories and concepts to phenomena that interests them. I motivate students to reason logically, and together, we create an intellectual atmosphere of discussing, sharing and learning." Management students are able to use our location in Austin to their advantage and tap into the capital city’s dynamic business community to learn and grow as business professionals. Management majors participate in internships with small and large organizations in nearly every market sector and industry. Through the experience, students clarify their career goals, learn valuable skills and build a list of professional contacts. Our Management students gain internship experience at the Arthritis Foundation, Seton Healthcare, Harris Media, Tech Ranch, the Teacher Retirement System of Texas and more. Student clubs facilitate connections to local business leaders and create a community students can join with like-minded peers. Delta Mu Delta, for example, is a national honor society that promotes higher scholarship in training for business. Delta Sigma Pi fosters the study of business in universities and encourages scholarship, social activity and association of students for their mutual advancement by research and practice. The Bill Munday School of Business offers a roster of local partnerships where students can get their foot in the door and gain hands-on experience in the field – Austin Technology Council, Capital Factory and Impact Hub Austin, to name a few. A Management degree prepares graduates to work in diverse areas of a company. Opportunities abound across industries – in government, for-profit and non-profit organizations. Our graduates have pursued careers in production and inventory control, planning and human resources in domestic and international organizations. Positions are also available in major retail operations, manufacturing and healthcare management. To increase employment opportunities, many graduates pursue advanced degrees in related business disciplines, such as a Master of Business Administration (MBA). 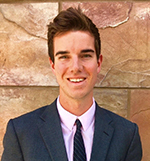 Matt Konrad ’15 serves as the dual director of services for Hyatt Place | Hyatt House in Denver, CO. When the hotel was first opening its downtown Denver location, Matt was the opening front office manager and was tasked with hiring a team of 25 associates. To help him prepare for the project, Matt looked back on an assignment from Professor Mary Dunn and reflected on lessons he learned about management styles, biases and team development. In his leadership reflection paper, he wrote, "When I am at my best, I tend to be helpful. I lead by example with a hands-on approach. I am connected to the environment I am in and am eager to learn new skills and achieve new goals." This statement has been a source of motivation for Matt, who was recently promoted in the company. 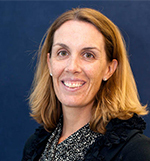 Kathleen Wilburn, professor of Management, shares her thoughts on how recent graduates can evaluate a company’s social responsibility and discover employment opportunities that fit their values.